Police have confirmed a man found injured on Fettes Row earlier today has died as a result of his injuries. Officers were called to the street just after 10am after he was found behind a block of flats. Live Edinburgh News understands he was pronounced dead at the scene. A Police Scotland spokeswoman said, “Police in Edinburgh are investigating following the death of a 56-year-old man. 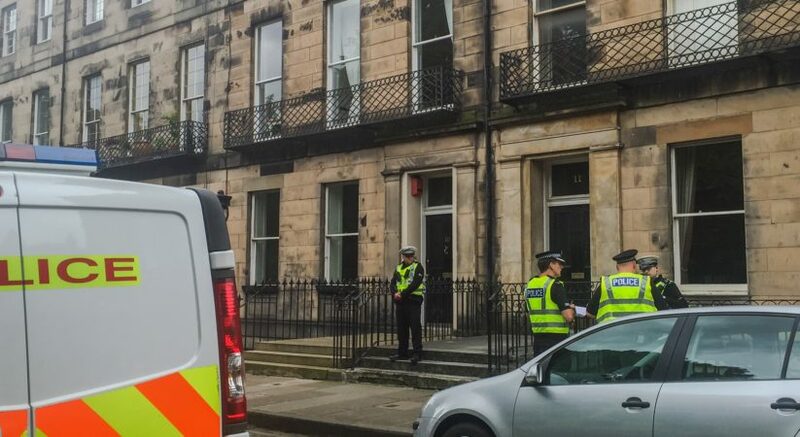 “The man was found injured behind buildings on Fettes Row. “Emergency services attended, however the man later succumbed to his injuries. “Enquiries are currently ongoing, but the circumstances are not believed to be suspicious.